In order to install VMware NSX all you need is the NSX Manager ova. VLAN with MTU 1600 for transferring VXLAN packets. dedicated NIC in each ESXi which will participate in forwarding/routing VXLAN packets. Configure Segment ID pool – those are your future VXLAN IDs, aka how many logical networks you can create. Prepare VXLAN from host prepare – install VTEP vmkernel port in order to encapsulate/decapsulate VXLAN packets and send them over the physical network to another ESXi. In this point, the infrastructure is ready to create logical networks! 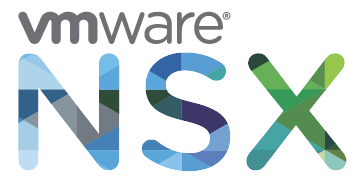 Let’s say that now you’ve configured NSX Switch (a module) on your hosts. you can’t control which VXLAN ID will be created. All transport zones shares the same Segment ID pool! Create logical switches (this will create your logical network…). EACH LOGICAL SWITCH GETS A NEW VXLAN ID! Those two components, which are actually a deployed virtual appliance, are sending commands at the end to the NSX Switch. Know to which NSX Switch (aka ESXi host) to send VMs packets which are connect to specific VXLAN ID (vSwitch forwarding plane). Know the routing table and then route by itself if both VMs are connected to it. That’s what VMware called “East-West”. I was wondering what is the difference between internal interfaces and uplink interfaces in this logical router. Both can connect to separate networks and route packets. if you choose internal, there is no reconfiguration of network adapters (wierd, how it works?). if you choose uplink, the VM is reconfigured and connected to the port group you chose. of course uplink is limited to 10 network adapaters (because of hardware version limitation). Remember! for L2/L3 switching/routing/forwarding the NSX vSwitch is independent! it does not send the packets to the virtual appliances! the code is running inside ESXi kernel module.